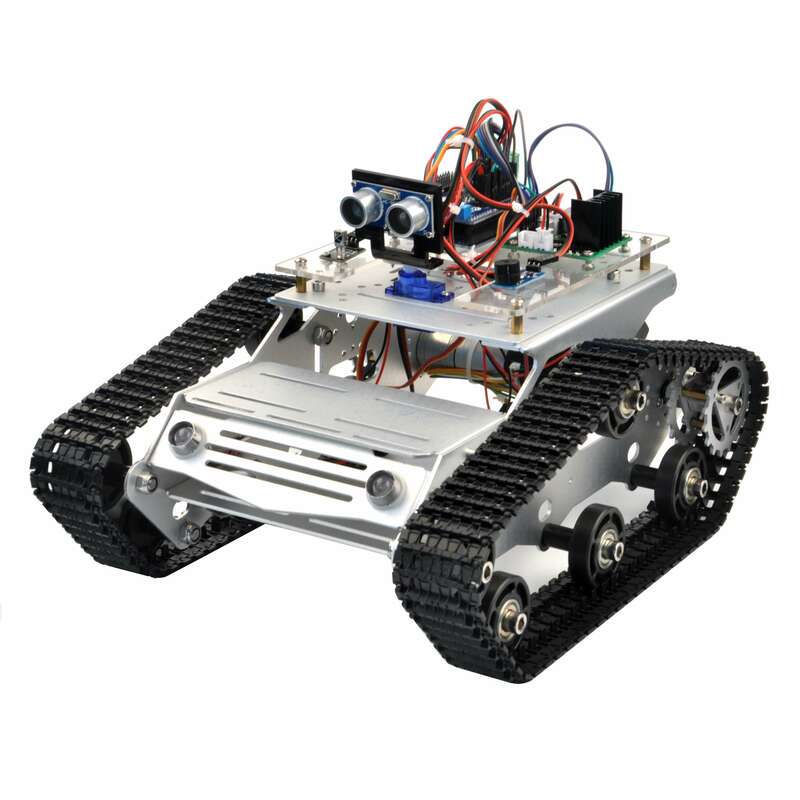 In this tutorial, we will use KOOKYE Smart tank car to make a simple remote controlled smart car. Once the car installation is completed, we will use a Infrared Remote to control the car movements including go forward, go back, left turn and right turn. There is a IR receiver and remote control. 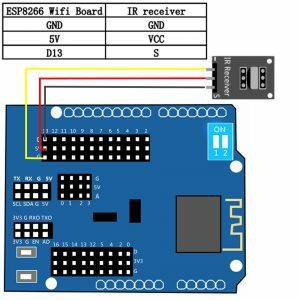 The arduino board would translate the programs to the predefined behaviors once it receive the IR signals from remote control. 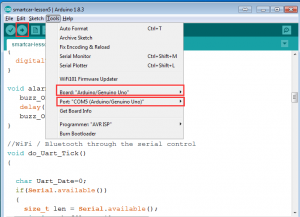 Download Arduino IDE from https://www.arduino.cc/en/Main/Software?setlang=en , then install the software. Step 3:Download Lesson 4sample code from http://www.kookye.com/download/car/tank_robot_lesson4.zip , unzip the download zip file tank_robot_lesson4.zip, you will see a folder called tank_robot_lesson4. 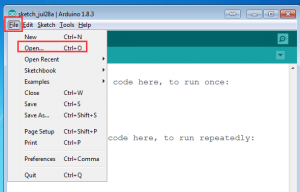 Step 4: Connect UNO R3 board to PC with USB cable, Open Arduino IDE -> click file -> click Open -> choose code “tank_robot_lesson4.ino” in tank_robot_lesson4 folder, load the code into arduino. Step 5:Choose corresponding board and port for your project,upload the sketch to the board. Part 3: Define movement name for each button. Part 5: Execute movement function as per movement name from Part 4. 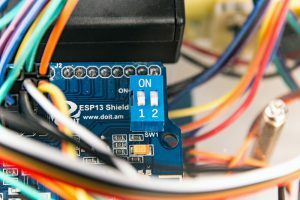 Step 1: Install expansion board on UNO R3 board. Step 2: Move the wire connected to pinout(GND,VCC,S) in IR recevier to the counterpart pin in expansion board as the following picture. Step 3: Turn the switch of expansion board to "1" and "2" position, as the following photo shows. Press IR controller keys to control the car movements as per predefine code. Note: Please check the wire connections if the tank car can not work as expected.